Whatsapp is one of the popular messaging service among the youngsters that lets you to send unlimited messages, photos, videos and more. After the Facebook acquision, Whatsapp announced lifetime free subscription for Indian users. Recently Whatsapp introduced “Blue Tick” feature for its users. What is Blue Tick option? 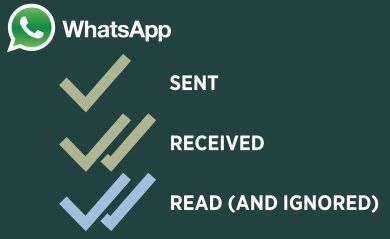 When your message read by your friend or recipent successfully, you will be notified by double blue tick mark symbol near your whatsapp message. The feature is really useful for some users because they can know whether your friends read the message. And this is annoying thing for others because sometimes they don’t reply as soon as. If you found your message was read but reply is not yet come, then you may angry with them. So this leads mis-understanding between the friends, releatives, staffs or anybody. 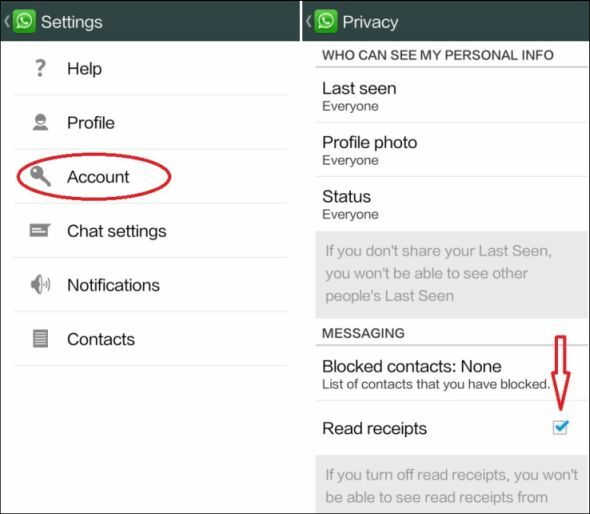 Also “Blue tick” feature totally destroying the use of Hiding Last Seen feature in whatsapp. Click on Menu on top right side. That’s all. You disabled the blue ticks option. The current whatsapp version from Google play don’t provide this feature so you need to update to latest version manually. The latest version is 2.11.453. This update not yet available on Google Play but you can download Whatsapp latest version from their official website. Download Whatsapp latest for Android.